One of the most common concerns my clients have prior to filing bankruptcy is the effect it will have on their credit. This is true despite the fact that in almost every case, the client's credit is already in shambles. 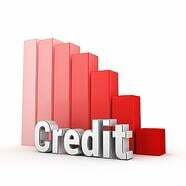 Bankruptcy Can Actually Help Your Credit Improve! Although the filing for bankruptcy does report as a derogatory trade line, it can actually improve one's credit score. This is because it puts an end to the bleeding - debt that was continuing month-after-month to report as derogatory, is now simply reported as included in bankruptcy as of the date of filing. The healing process can begin. This fact is particularly beneficial when it comes to foreclosures. Most mortgage loans require a certain time to have passed from a foreclosure before approving a subsequent loan. FHA loan underwriting guidelines for instance requires that at least two years must have passed since a borrower filed for bankruptcy and three years have passed since the satisfaction of a mortgage default or foreclosure. But when it is taking banks years to foreclose, the satisfaction of a foreclosure may be a long way off. When a person filed bankruptcy, however, the date of the bankruptcy discharge acts as the date of satisfaction of the mortgage default or foreclosure. As a result, it is possible to get a very good mortgage loan just three years out of bankruptcy - of course a borrower still needs to meet other underwriting requirements as well. If you need help with your financial situation, contact a foreclosure attorney in New Jersey today at Scura, Wigfield, Heyer & Stevens, LLP.